I just wanted to say thanks again for our little bundle of quills. Penny is so friendly and cute! We love her so much. I attached some pictures so you can see how big she's getting. We are so very pleased with our girls from you, Henry's Hedgehog Haven! They are healthy and really sweet! We are in love with both! We could not ask for better personalities to join our herd and our home. When I first decided I wanted a hedgehog I did extensive research about all of the possible breeders but when I found Henry's Hedgehog Haven, I knew it was the one! I immediately got on to the wait list and began the wait for my hedgie! Karen always responded to any questions I had and made me very comfortable with my decision. 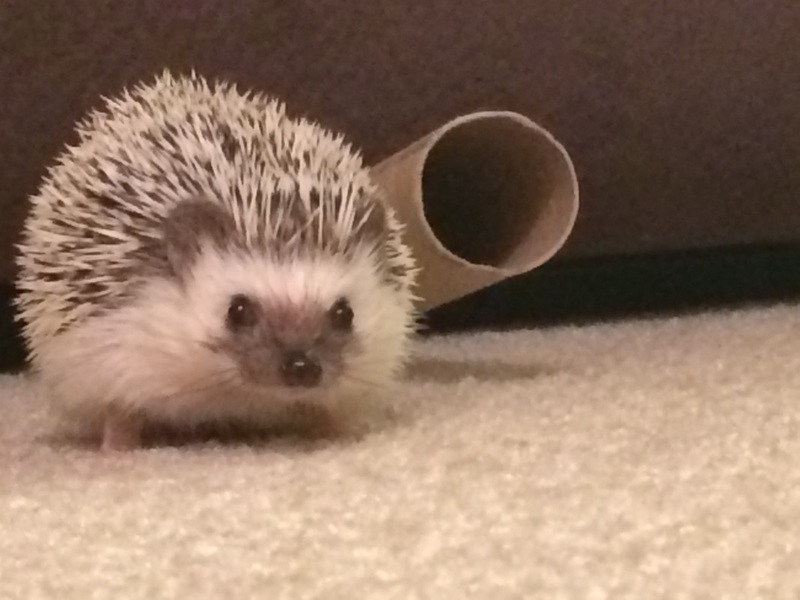 When I saw that Karen had a hedgie available for adoption, I decided I wanted her! Just a few days later I was on my way to pick up my little girl! Karen was extremely accommodating with my schedule, and had my hedgie and all of her papers and file waiting for me when I arrived to pick her up. She came from a very clean and happy home, she was extremely friendly from the second I picked her up, and I fell in love with my little Brillo! Since I adopted Brillo I have followed up with Karen several times, have come to her with questions and I always get a response. I am confident that I can always come to her with anything I need for Brillo. I have recommended her to everyone who is interested in hedgehogs, and have even had a friend get a hedgehog from Henry's Hedgehog Haven as well, and she is also ecstatic about her little boy! When I am ready for another, I will definitely go back to Henry's Hedgehog Haven.